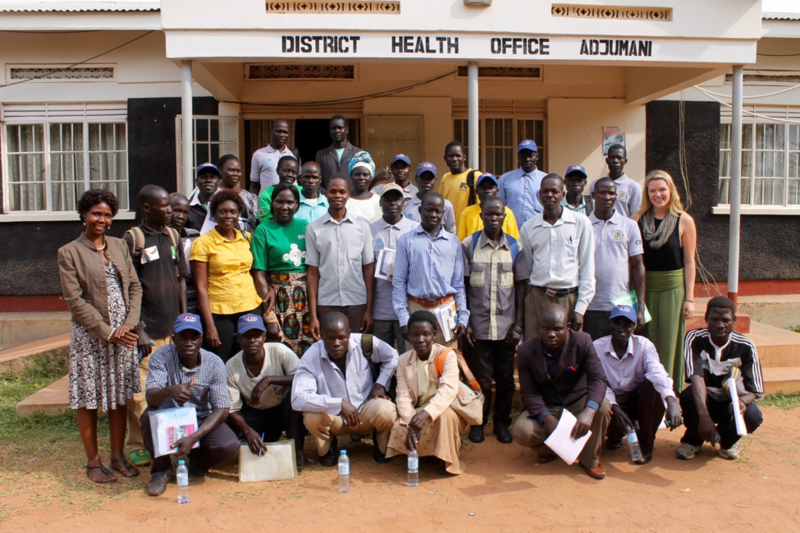 TERREWODE was invited by the Adjumani District Local Government on July 13-16, 2017, to assist in leading a four-day training of approximately 60 Village Health Teams (VHTs) from the Adjumani district of northern Uganda. The training was made possible by the generous support of UNFPA. Local support was provided by Sister Rosemary Abio, Adjumani Nursing Officer and Dr. Emmanuel Aniap, medical doctor from Adjumani Regional Referral Hospital. Alice Emasu, Founder and Executive Director of TERREWODE, Lillian Awizia, Partnership and Advocacy Manager for TERREWODE, and Allison Horan, TERREWODE Research Intern and medical student at New York University School of Medicine, represented TERREWODE as central facilitators. Throughout the training, VHTs increased their capacity to identify, refer and prevent cases of obstetric fistula in their own communities. By the end of the training, some had already identified suspected cases of fistula and were eager to know more about the availability of free treatment within their district.